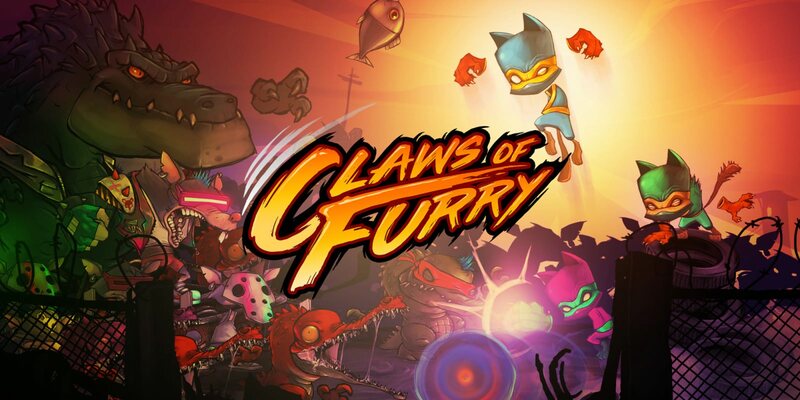 Claws of Furry is a new side scrolling couch Co-Op beat em up, created by Terahard Ltd. This week we had time to sit down together and enjoy, the joys of being a ninja cat. After scampering across rooftops and Rescuing foster fathers, we decided it was time to report back our findings. Claws of Furry, is one of those couch Co-Op specific games, you’ll often play as an ice breaker to start the LAN party. With an average playtime of just under three hours from start to finish. It’s an easy and enjoyable experience to breeze through with three of your mates in one evening. The story is a bit bare bones, sending you on a quest to save your ninja foster father. Let’s be honest though the story isn’t what your here for, Claws of furry ticks all the essential box’s while not straying to much from the standard beat em up formula, Controller support, Snappy, responsive and well mapped controls, as well as a flashy combat system that’s simple to execute to boot. Outside of the traditional start to finish play through, Claws of Furry also has some additional difficulty modes for repeated runs, it also sports some unique outfits that provide you with special abilities, allowing you to mix it up during gameplay, these combine together to create semi fresh, experiences in the well crafted levels. The art direction and soundtrack mixing together to accompany this Comic Book come to life style, with it’s wacky monsters and cartoon villains packed to the brim among the city streets. It’s hard not to playthrough Claws of Furry, without being reminded of the nostalgia filled Saturday cartoons and junk food days of my childhood past. It’s been a solid and mildly humorous experience, one which i’d recommend to fans of the 90’s T.M.N.T and old comic book enthusiasts of the past. Our thanks for training us in the art of the Ninja as well as providing review copies, goes to Terahard Ltd.
Claws of Furry is available on steam for $14.50 Australian or your regional equivalent here.